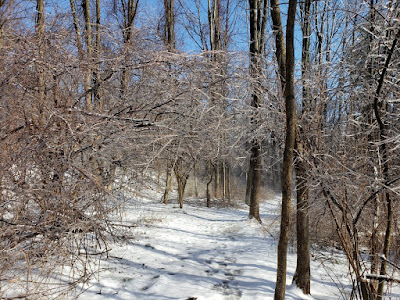 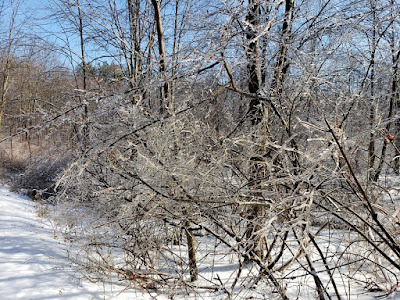 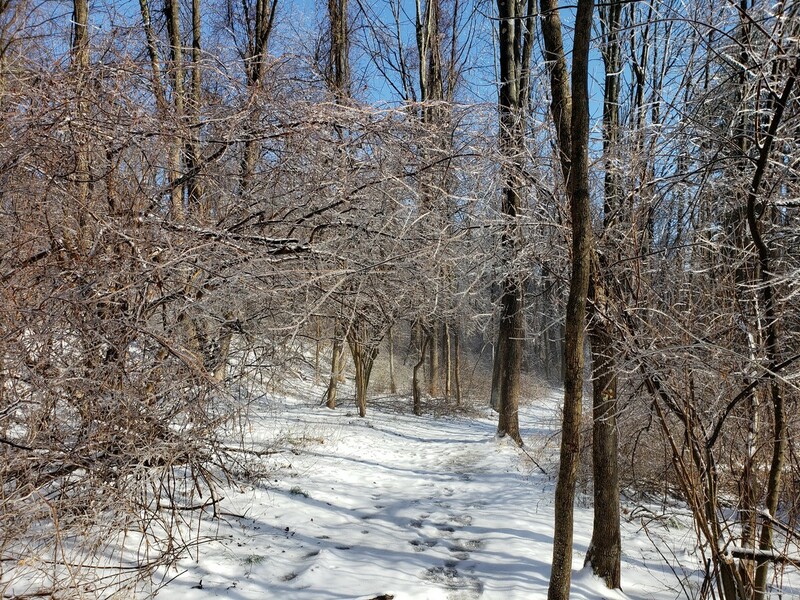 The previous night there was a snowstorm that ended with freezing rain, leaving a glistening coating of ice on all the trees. 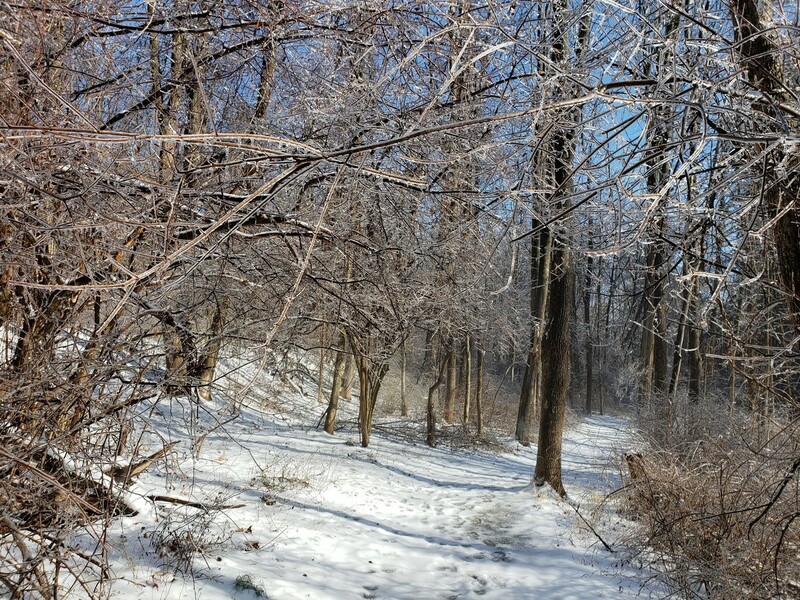 As the clouds cleared and the sun came out in the morning, a beautiful scene unfolded. 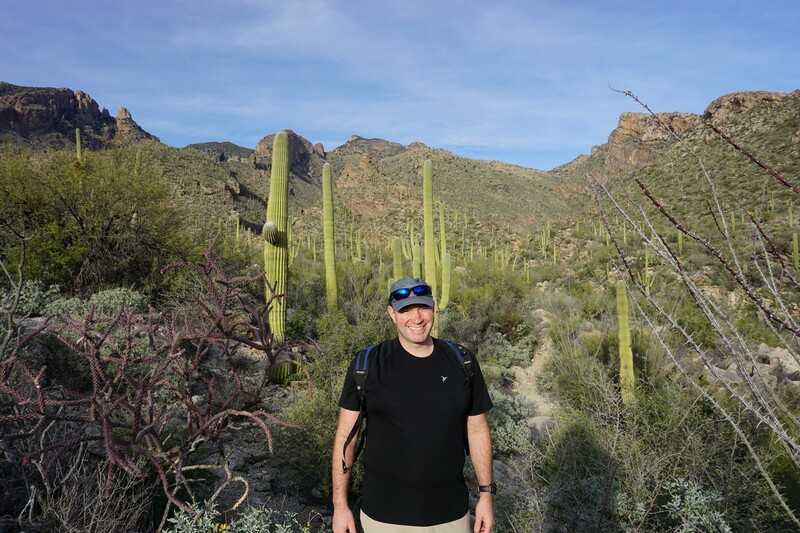 I took the opportunity for a short hike in Kakiat prior to going to work and enjoy the scenery. 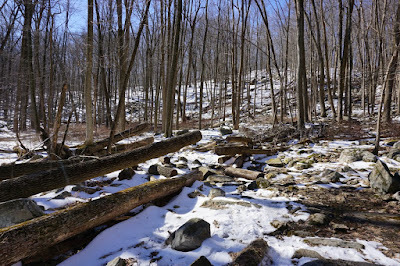 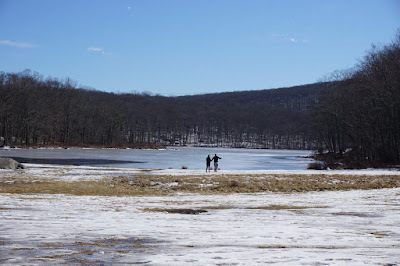 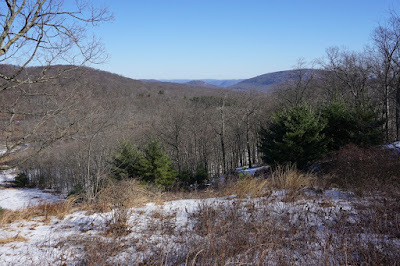 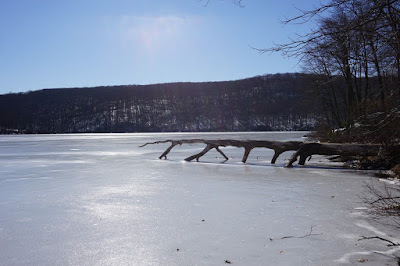 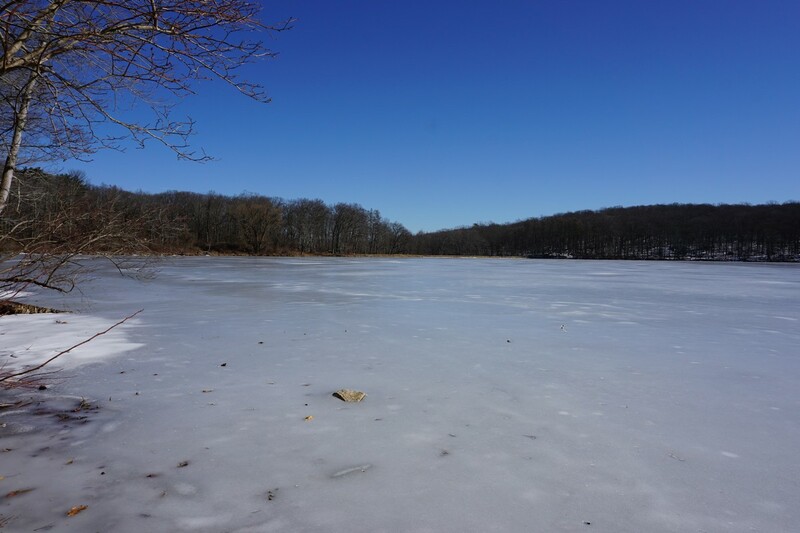 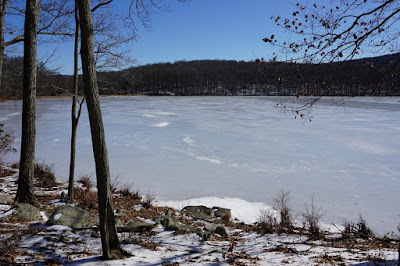 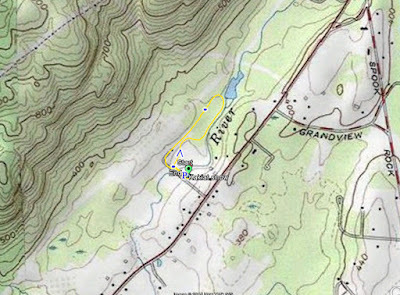 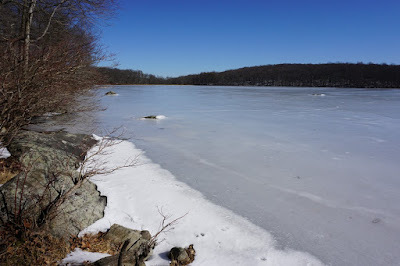 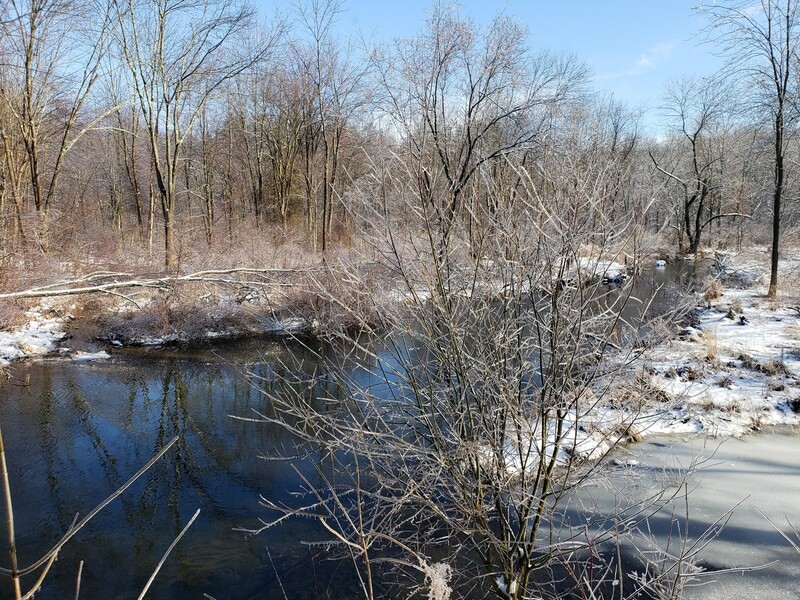 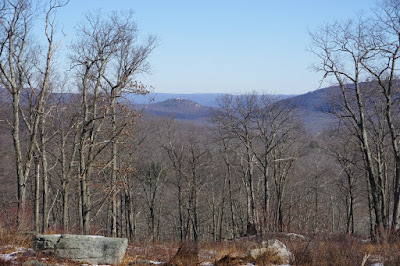 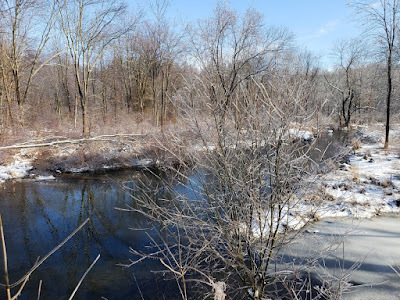 I parked in the parking area, crossed the bridge over the Mahwah River, and then took the Old Mill Trail loop around back to the Kakiat Trail, and then back to my car. 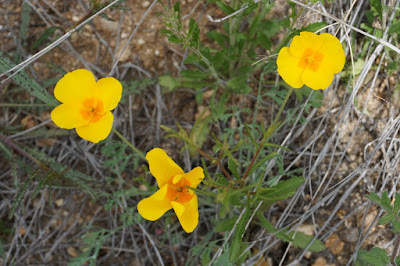 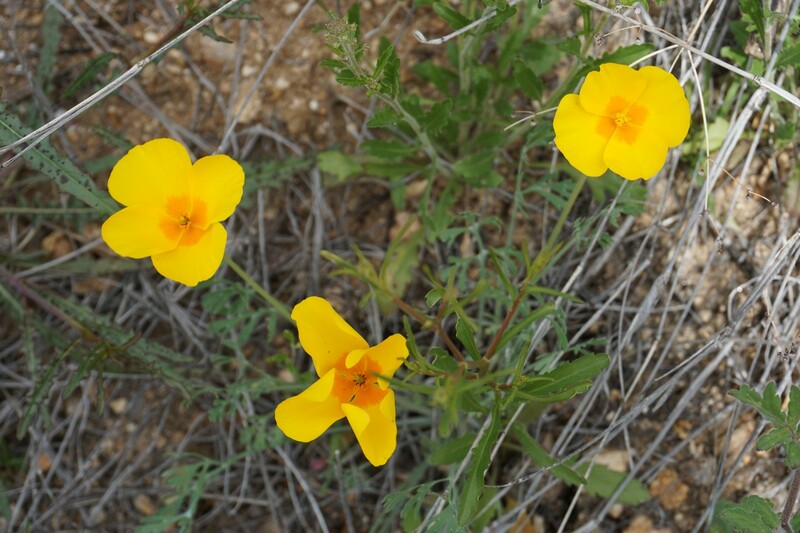 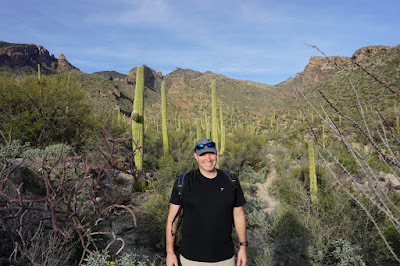 I had just returned from a trip to Arizona, so this was quite a change in scenery from the warm weather and desert cactus. It had recently snowed, but the storm ended in ice, leaving a thick and slippery coating of ice covering everything. 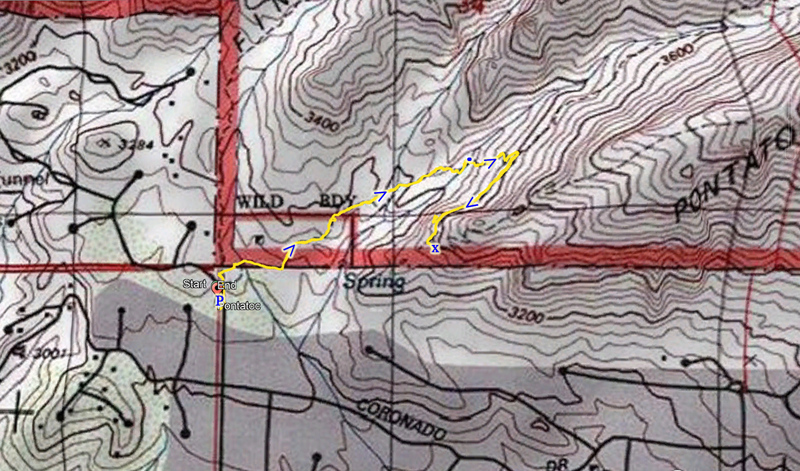 This made hiking conditions extremely difficult, and I had a very hard time navigating the trails. 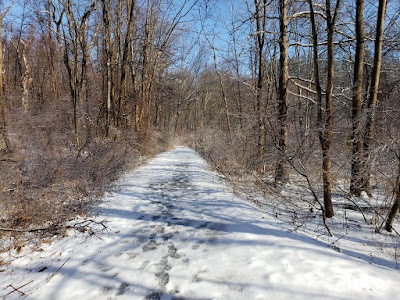 I had left without crampons as it was much less icy further south where I live, and was not expecting such slippery and difficult conditions. I parked in the Silvermine parking area, and took the Menomine Trail on the side of the lake. The lake was fully frozen, but there were cracks and you could actually hear the lake making cracking noises underneath the ice. 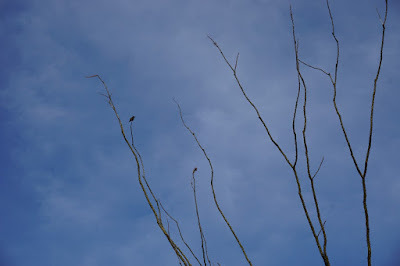 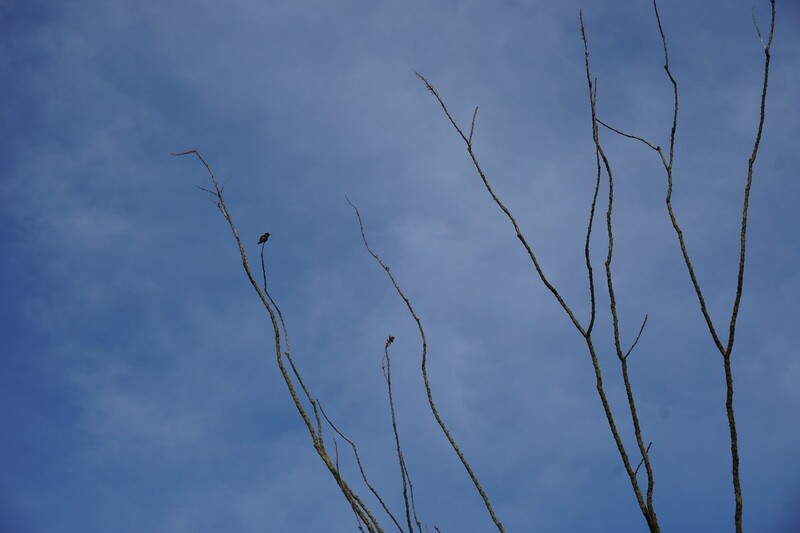 The weather was quite nice and warm for February, and was above freezing with a bright blue sky. 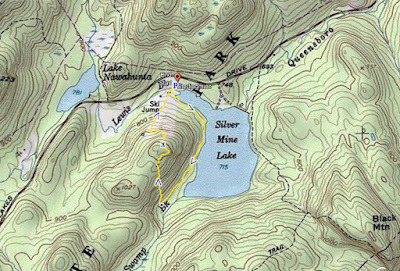 I took the Menomine Trail past the end of the lake, and then cut across the side of the mountain towards the top of the Silvermine ski area. 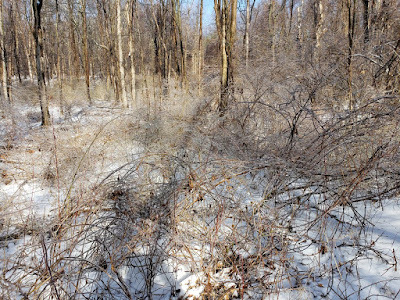 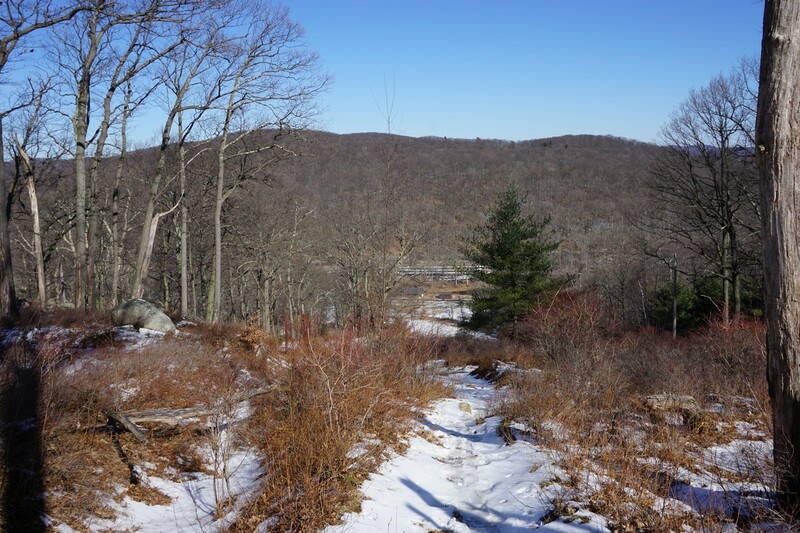 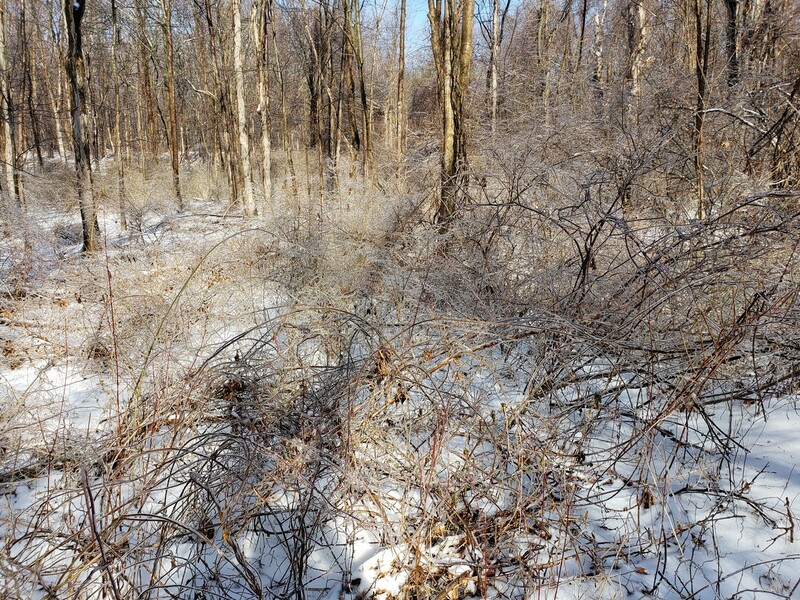 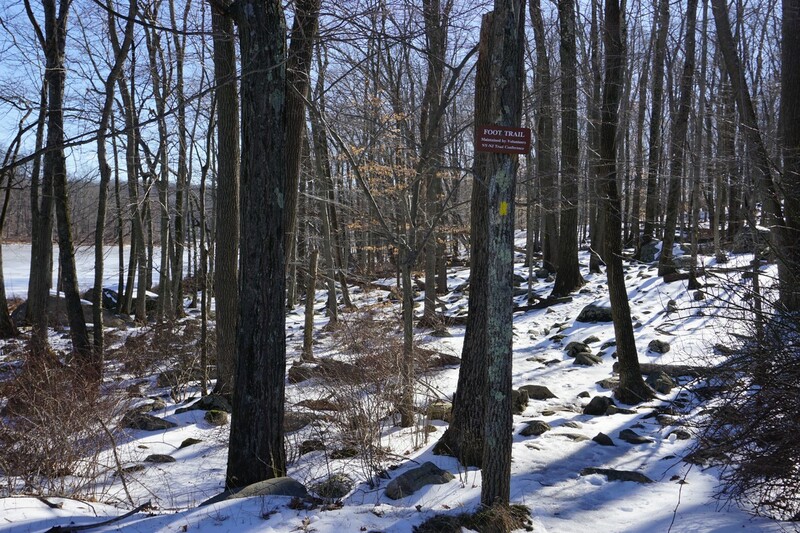 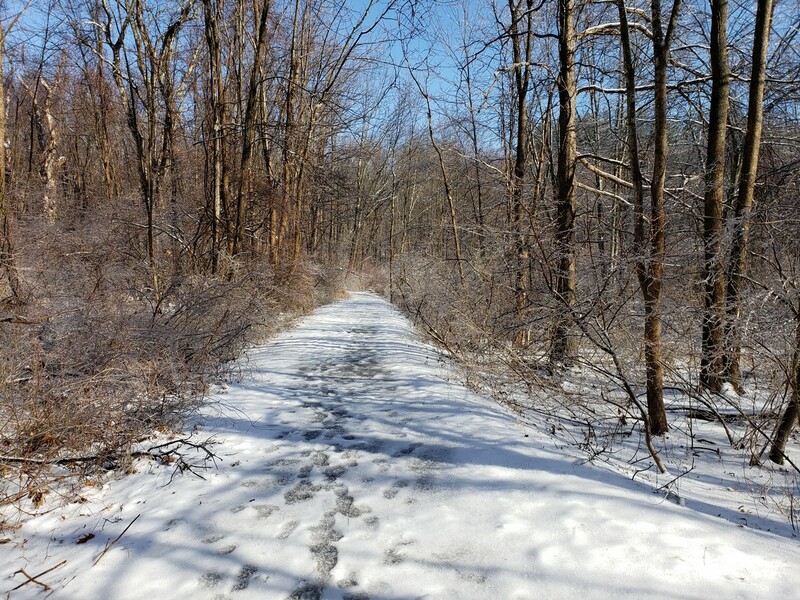 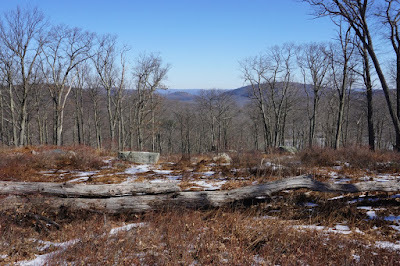 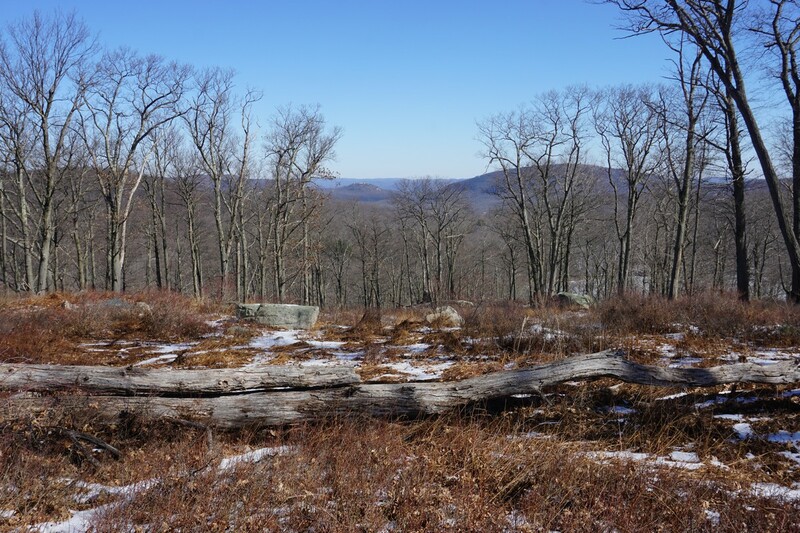 The Silvermine Lake area used to have a ski area with a chairlift and 2 trails down the slope. 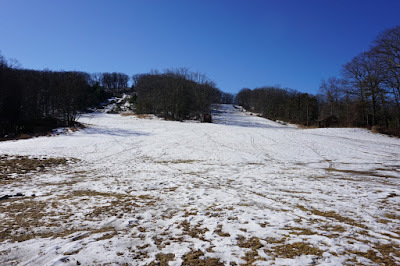 This has long since been abandoned, yet the slops are still there and can still be hiked up and down and used for sledding. 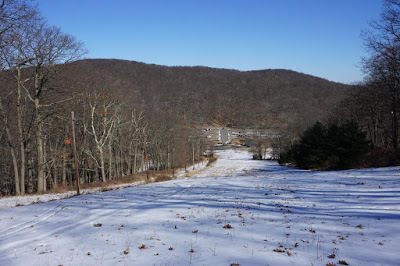 The climb up to the top of the ski slope from behind the lake where I was was less difficult because that side of the mountain was facing the sun, and did not really have snow or ice. However, once I got to the top, going down was an entirely different story. 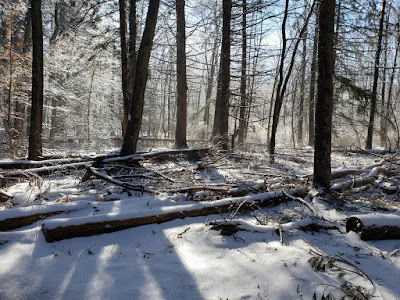 It was a solid sheet of ice and there was no easy way to navigate down, other than digging in sideways into the ice and snow as I descending. 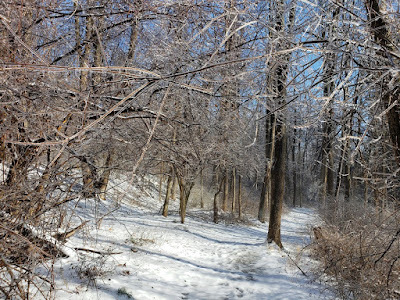 Some parts were too slippery and steeps and I was forced to descend on my rear end. 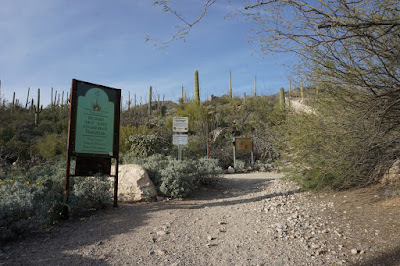 I finally made it down to the bottom, which ended my hike and as I headed over to my car in the parking lot. 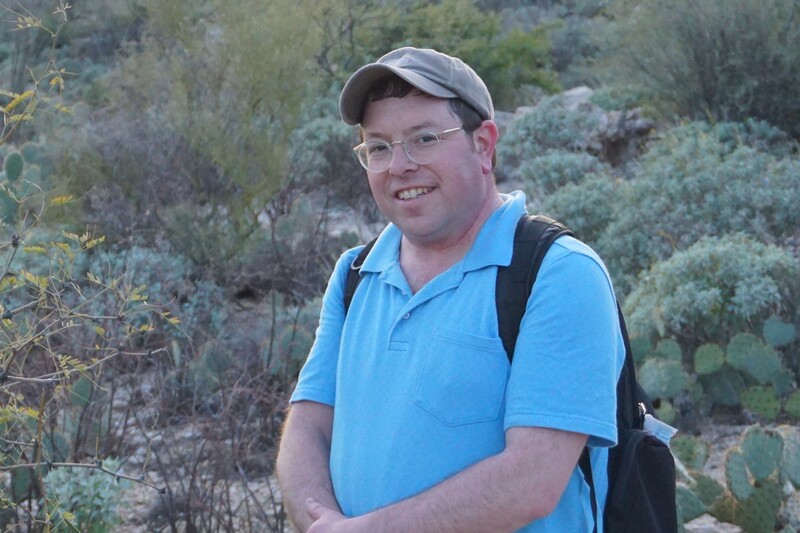 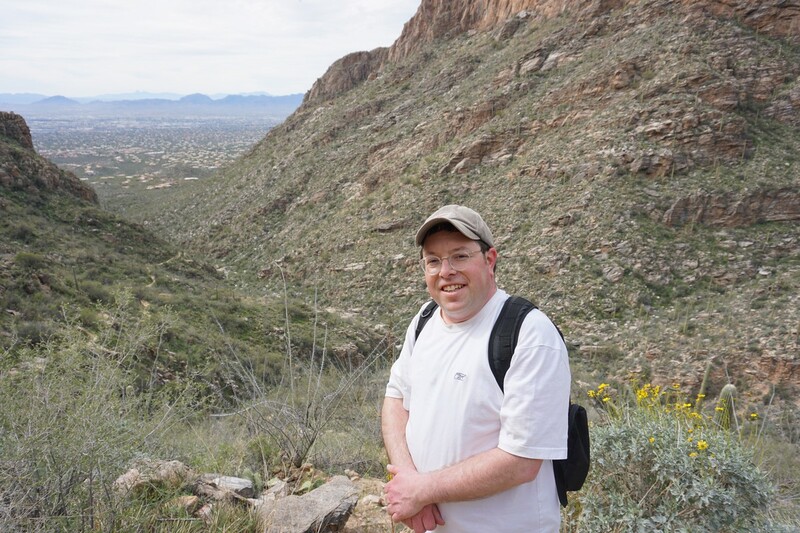 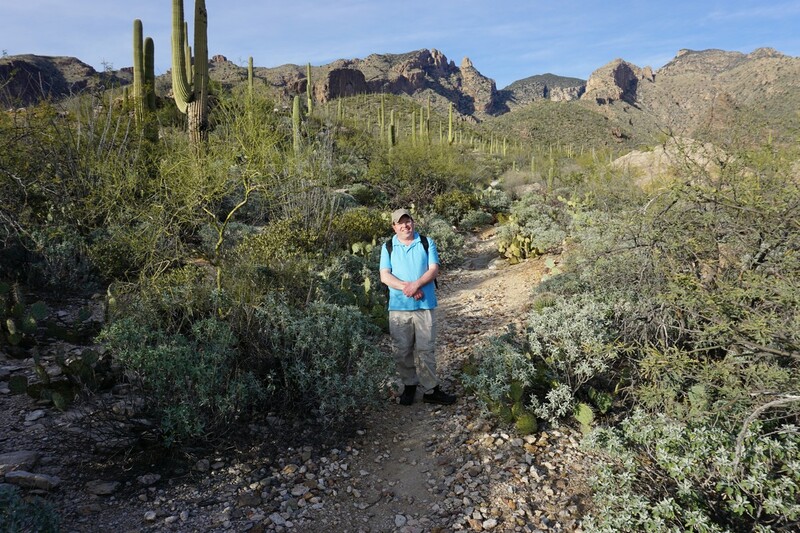 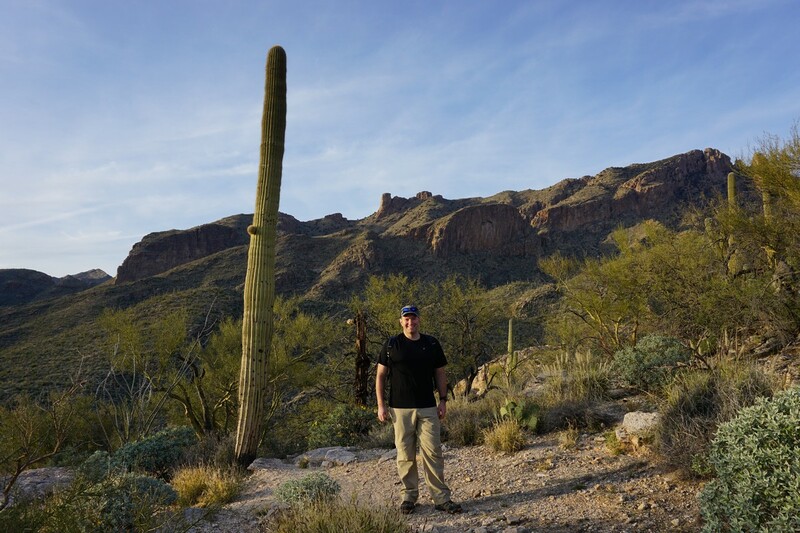 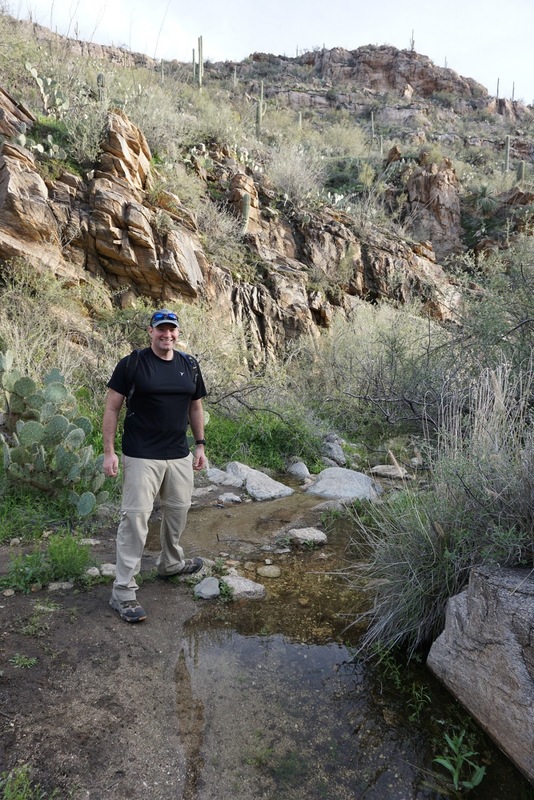 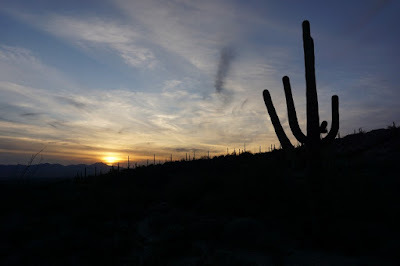 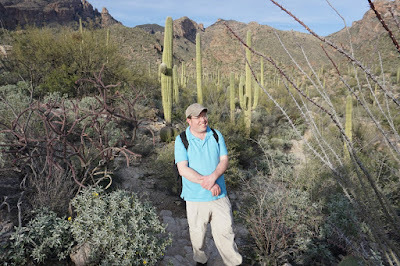 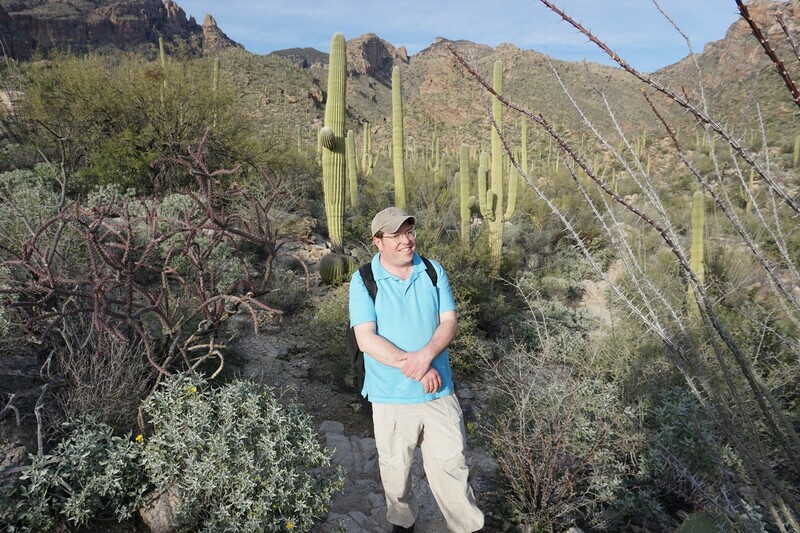 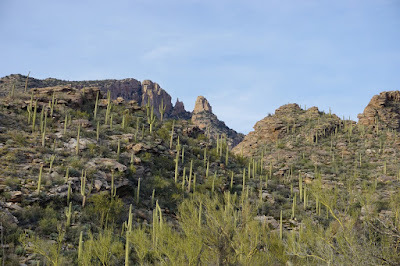 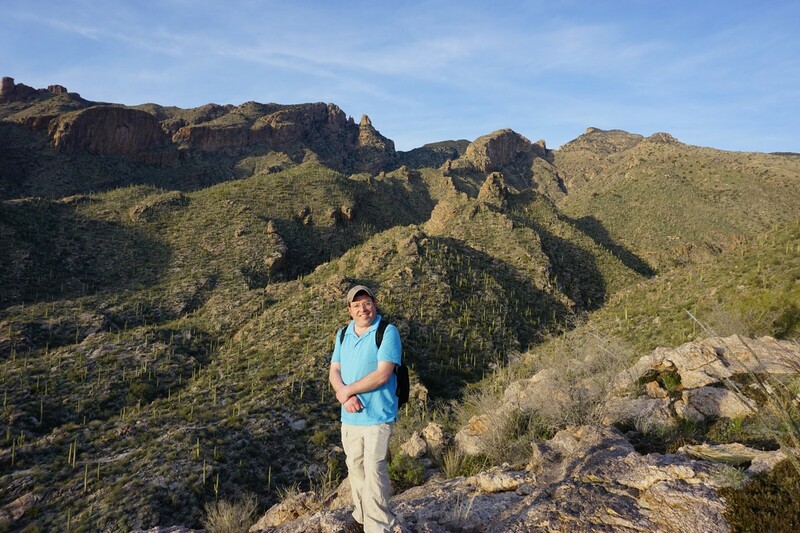 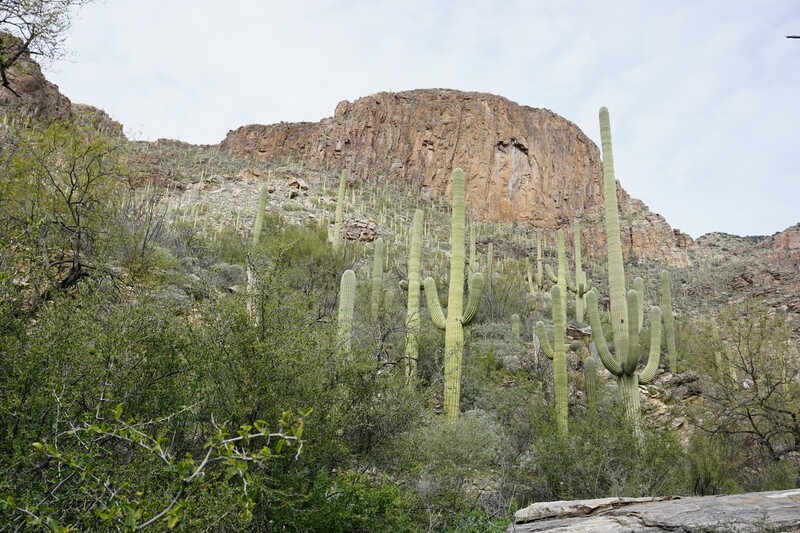 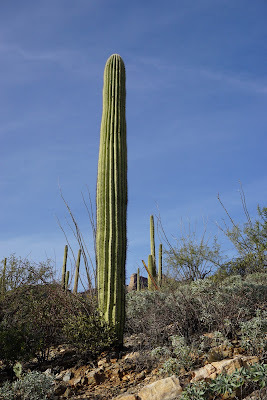 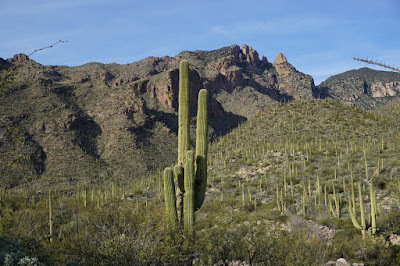 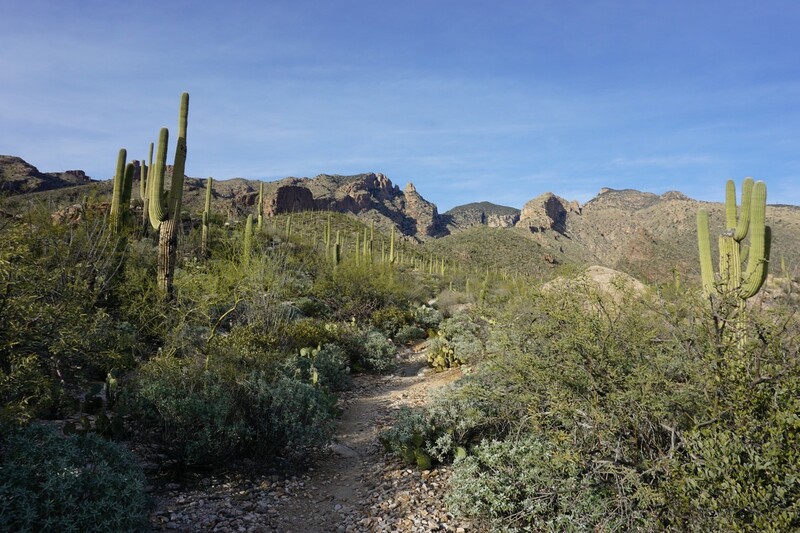 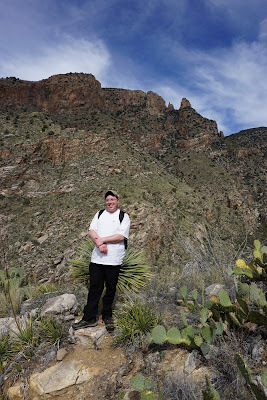 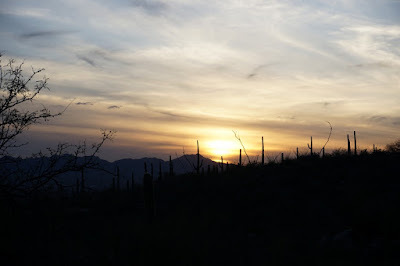 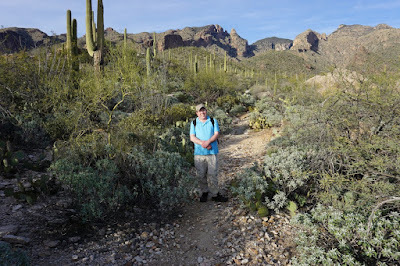 While out in the Tucson area in Arizona, I had decided to visit the area that I was in on the previous day and hike another trail in that area. 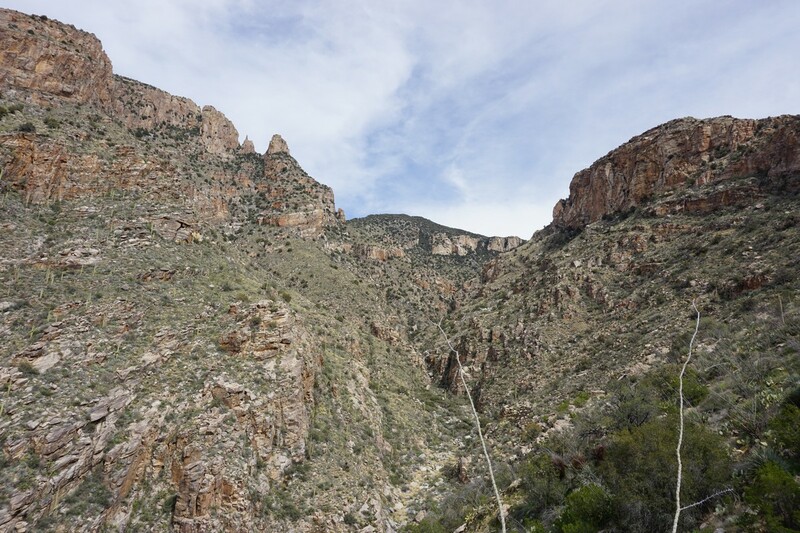 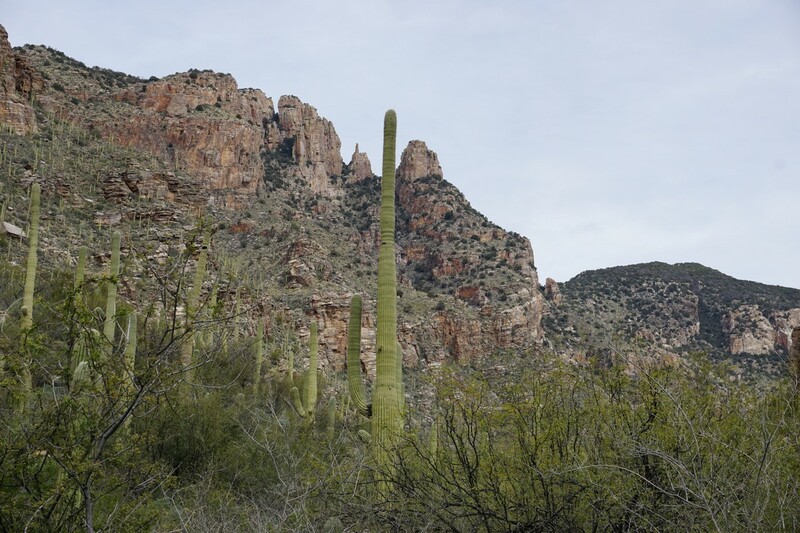 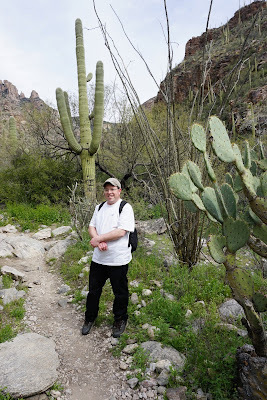 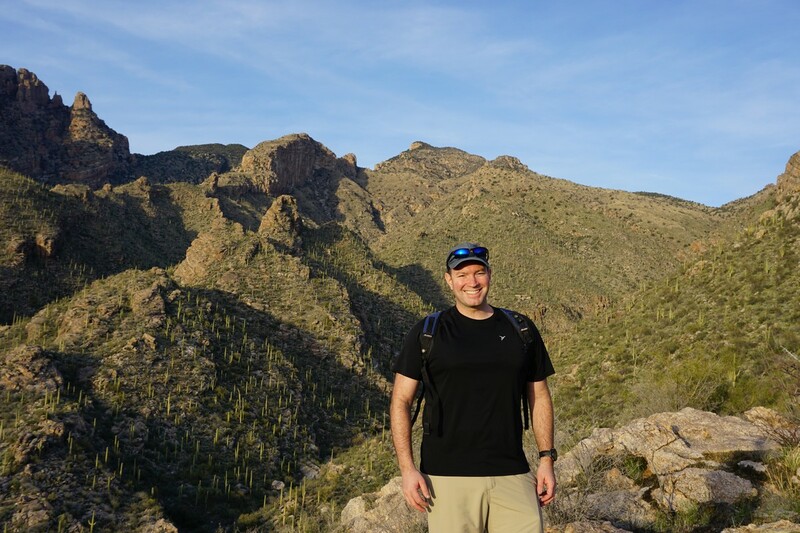 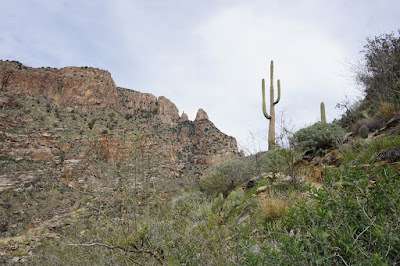 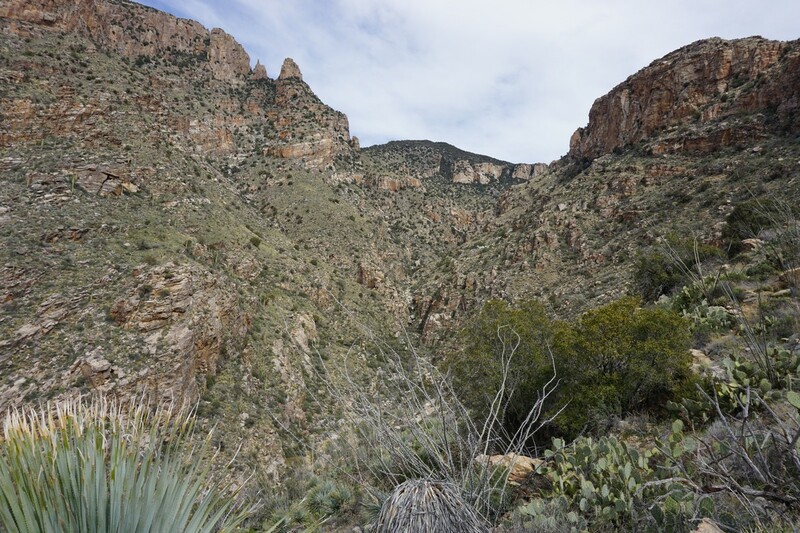 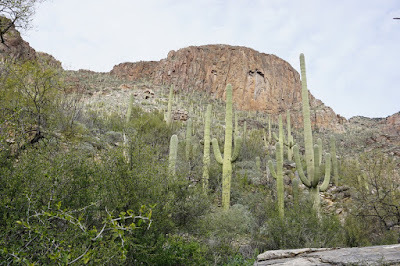 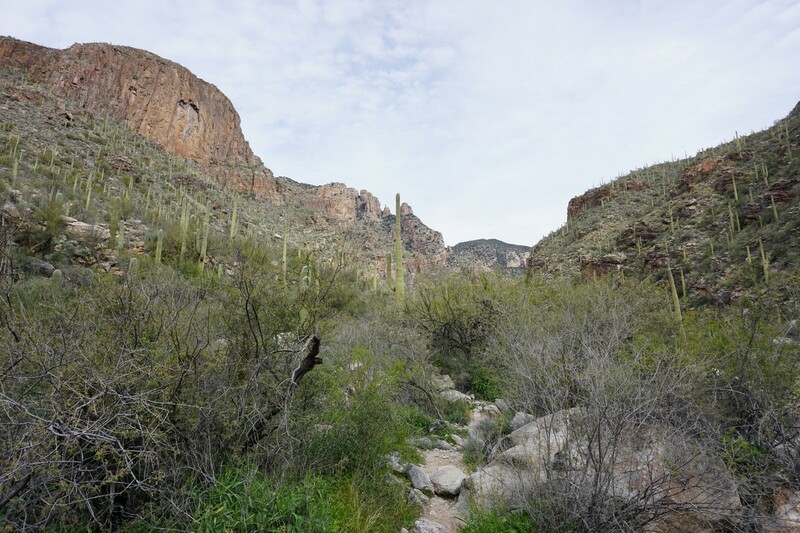 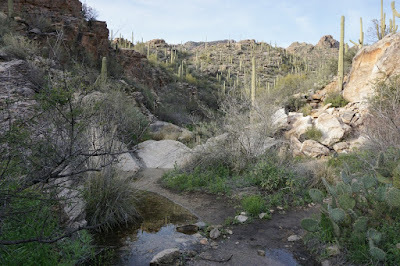 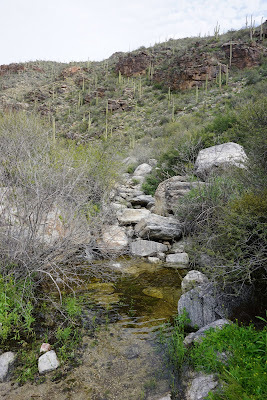 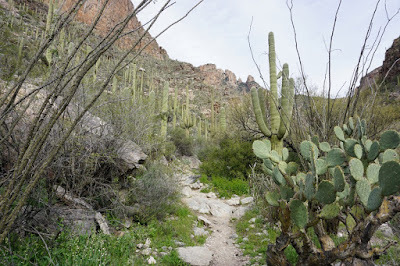 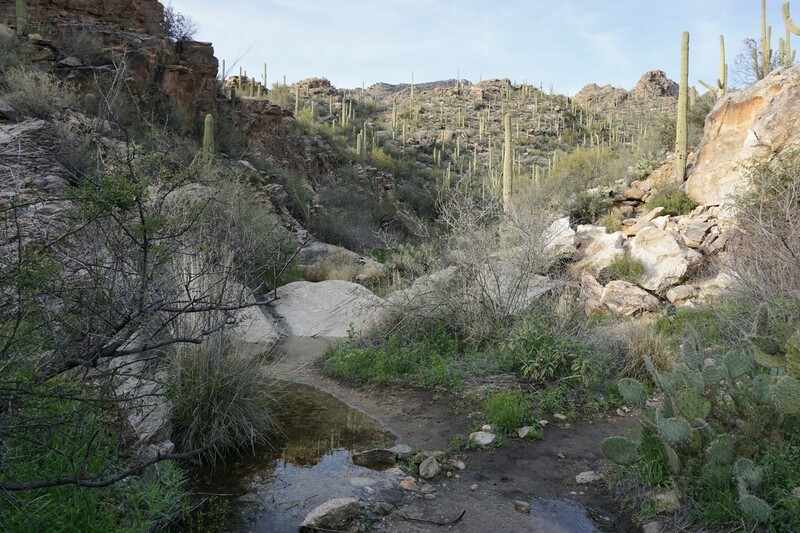 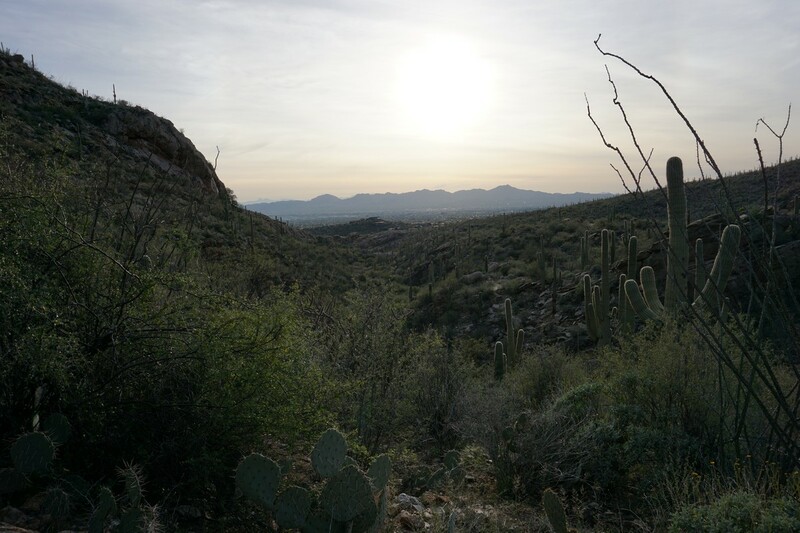 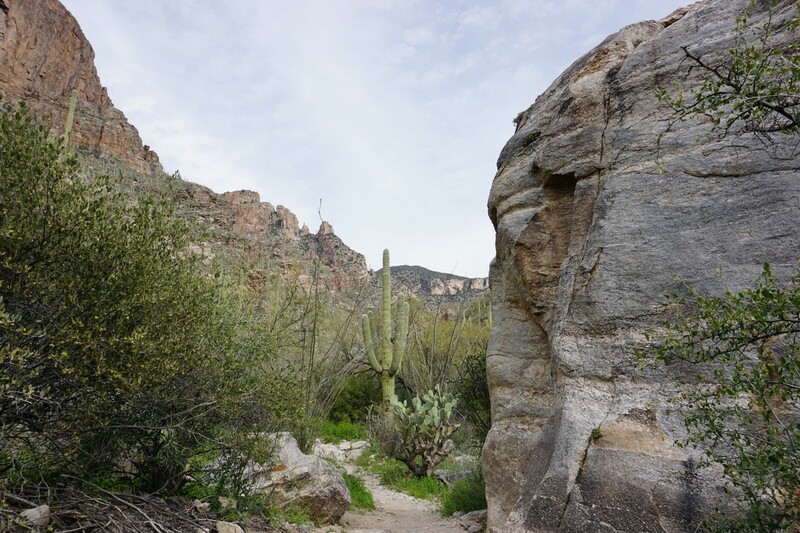 I did another beautiful hike starting off in the foothills of the Santa Catalina Mountains north of Tucson, and took the Finger Rock Trail northward through the steep canyon, flowing stream, and up the side of the ridge. 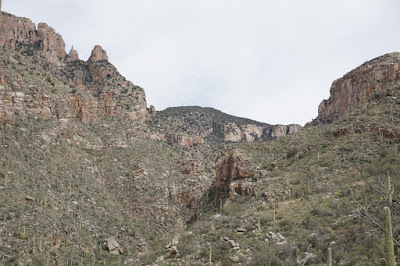 Finger Rock is a prominent geological feature that looks like a finger sticking up, rising up from the steep floor of the canyon. 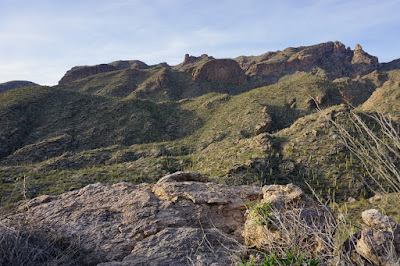 I hike on the trail a little over a mile and a half, near the Finger Rock, and then turned around and headed back the same route. 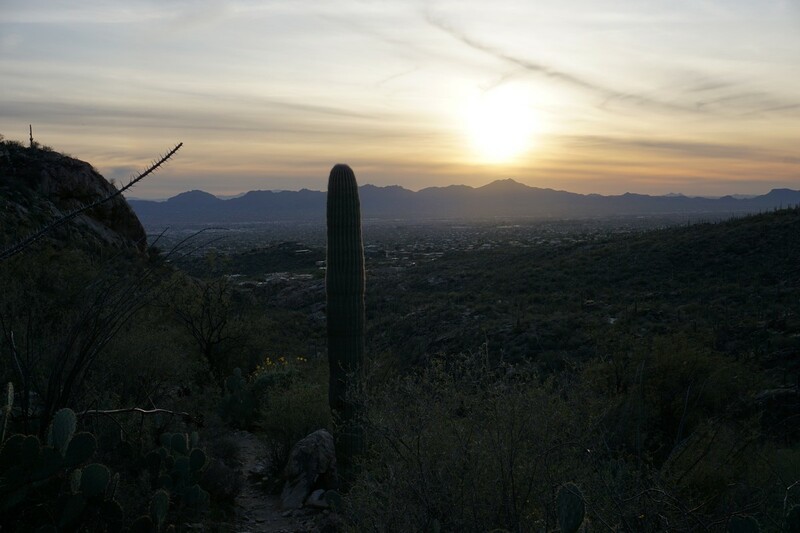 On our trip to Arizona, we found some time at the end of the day for this beautiful hike. 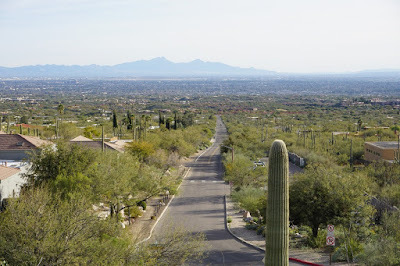 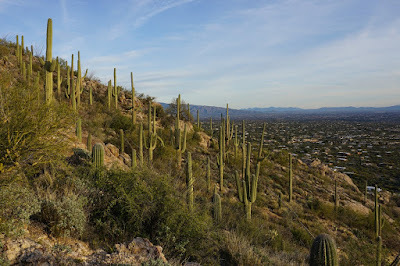 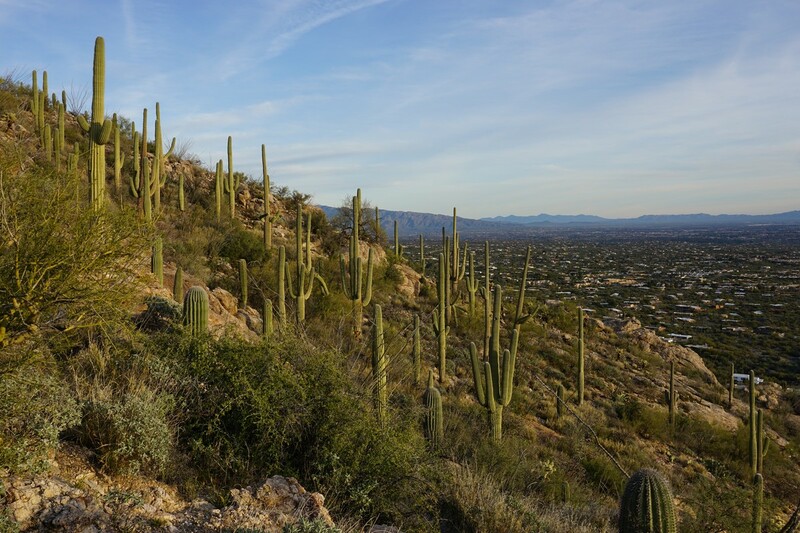 The Santa Catalina Mountains are north of Tucson and the foothills are at the end of the urban area of Tucson. These mountains are very scenic, and full of large saguaro cactus. 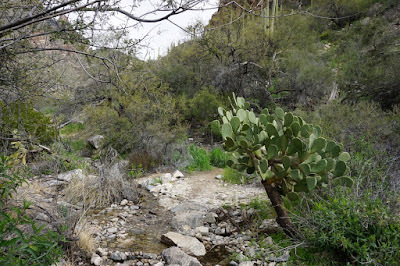 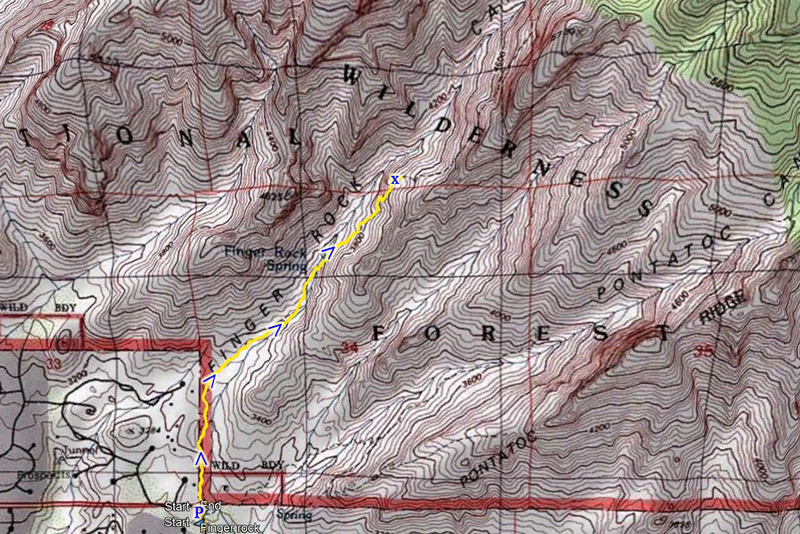 We parked at the trailhead at the end on Alvernon Way, and took the Pontatoc Canyon Trail passed where it crosses the flowing desert stream. 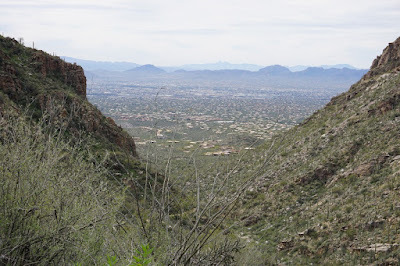 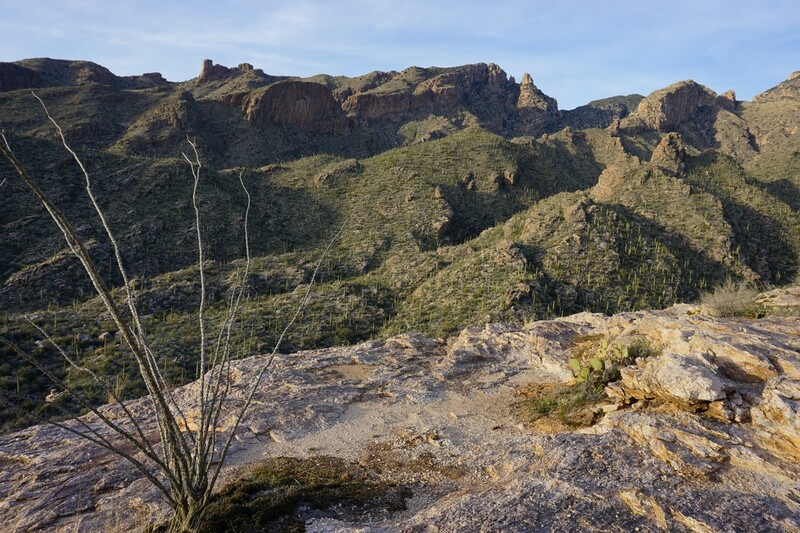 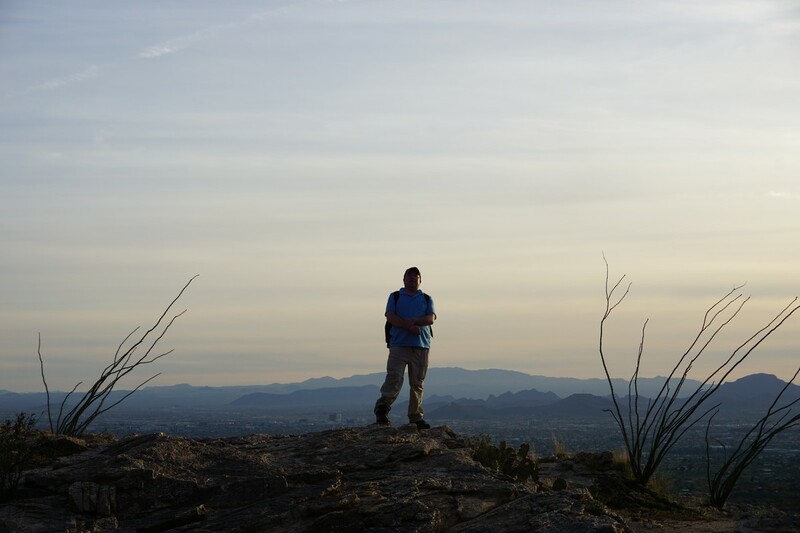 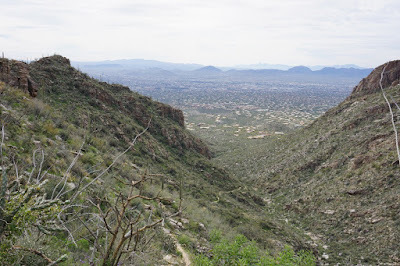 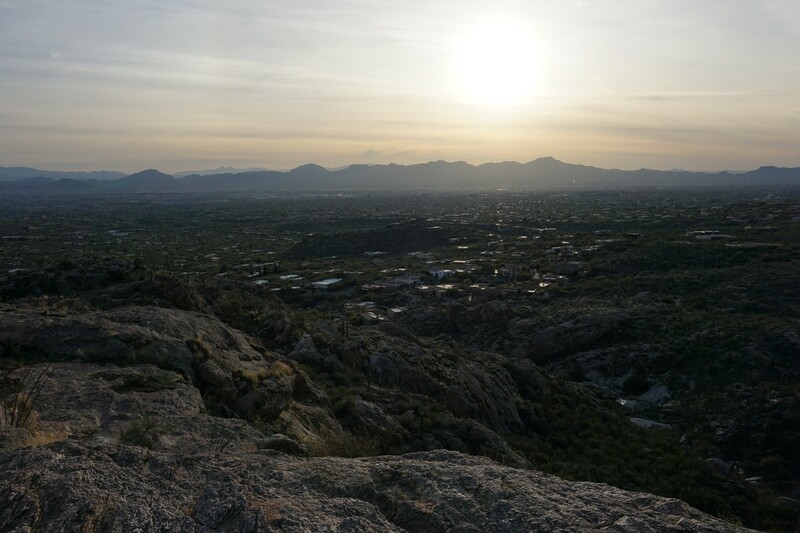 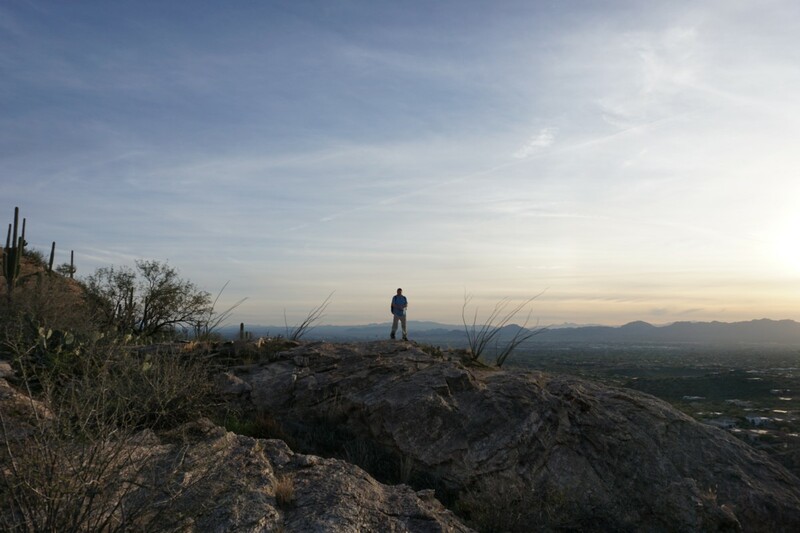 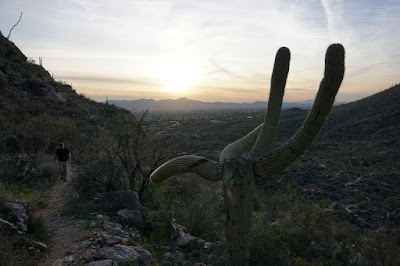 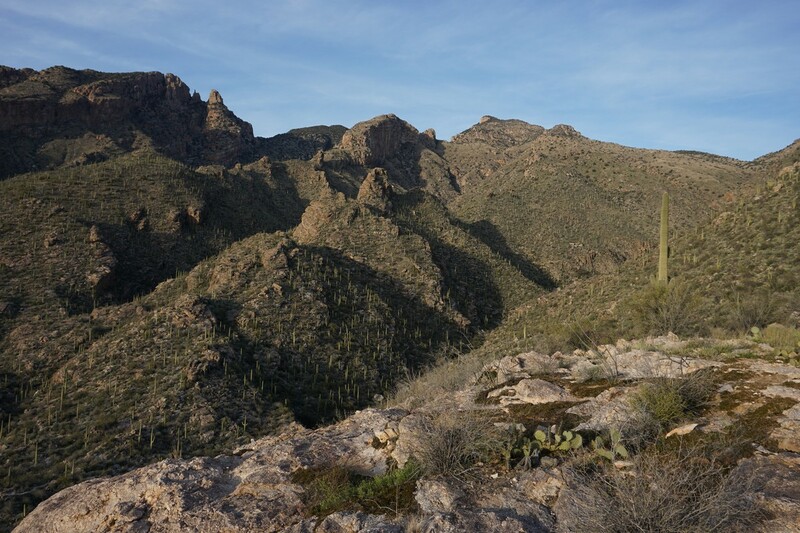 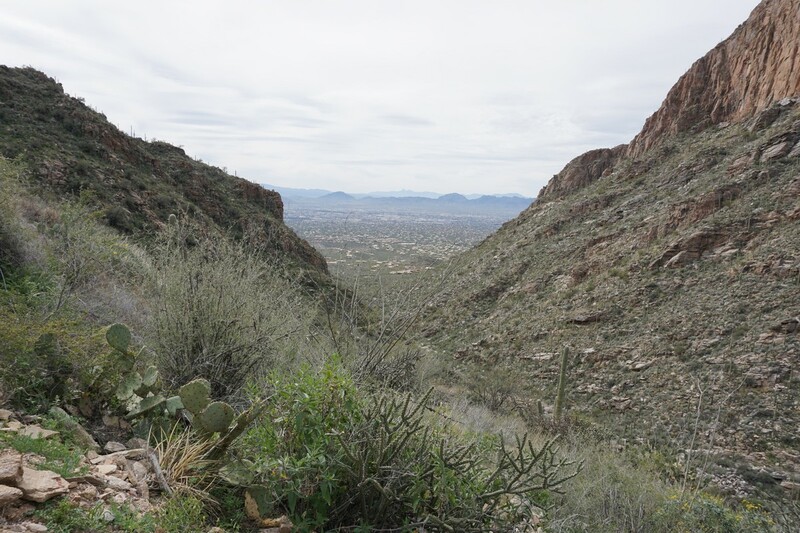 We then took the Pontatoc Ridge Trail up from the canyon to the view facing over Tucson. We then turned around and headed back along the same route.